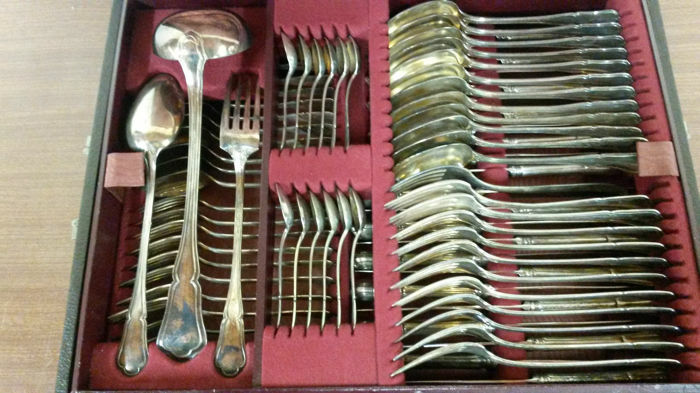 Exceptional cutlery set for 12 persons by the famous company Macabo of Cusano Milanino. 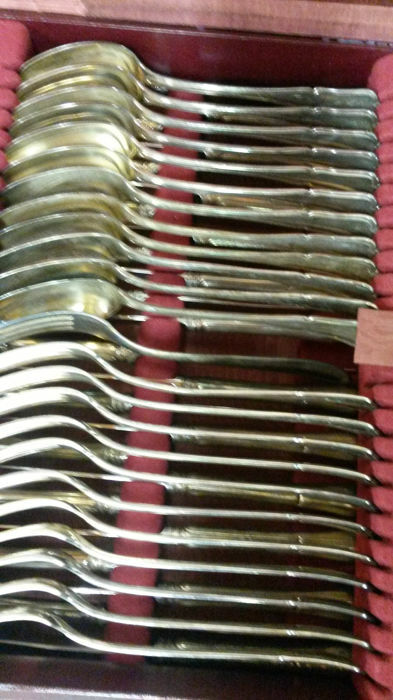 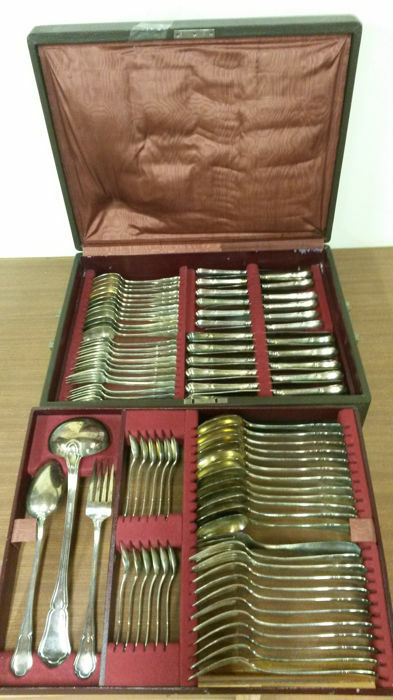 Consisting of 87 pieces, 12 large knives, 12 medium knives, 12 large spoons, 12 medium spoons, 12 large forks, 12 medium forks, 12 teaspoons and 3 utensils for food. 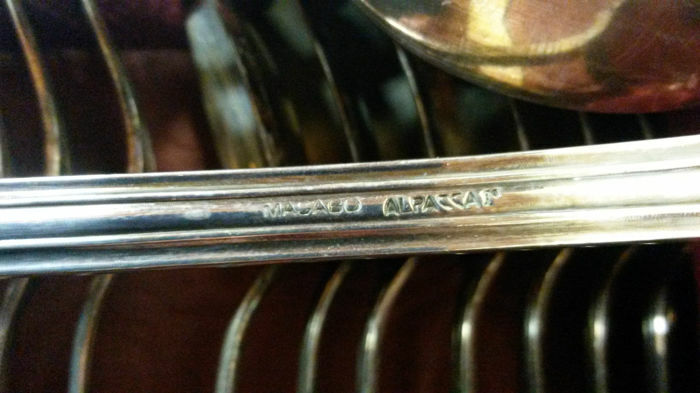 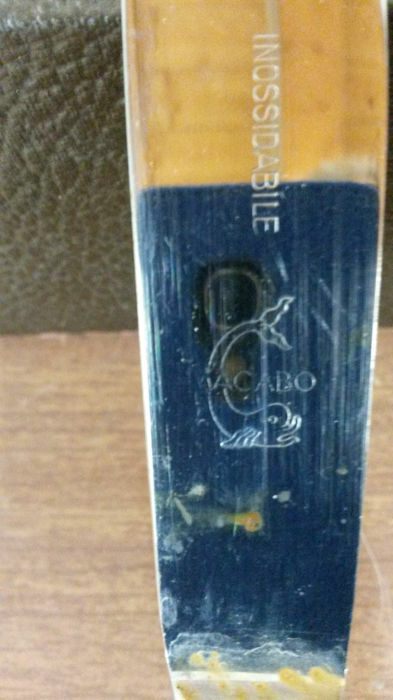 They are marked with the “alpaca” mark and others with the “Alpaca Macabo” mark. 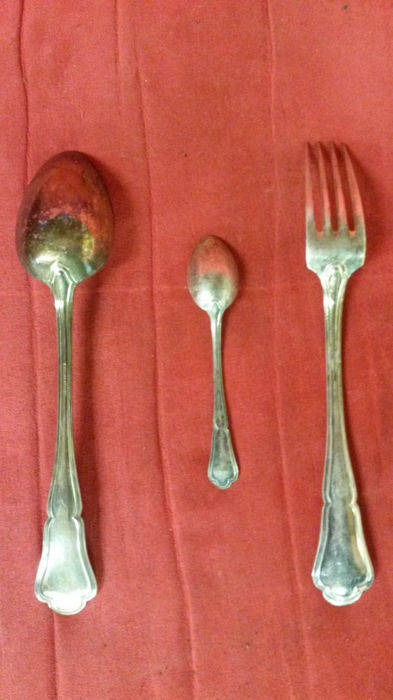 Of course, they need to be cleaned in order to remove the patina of time before being used again. 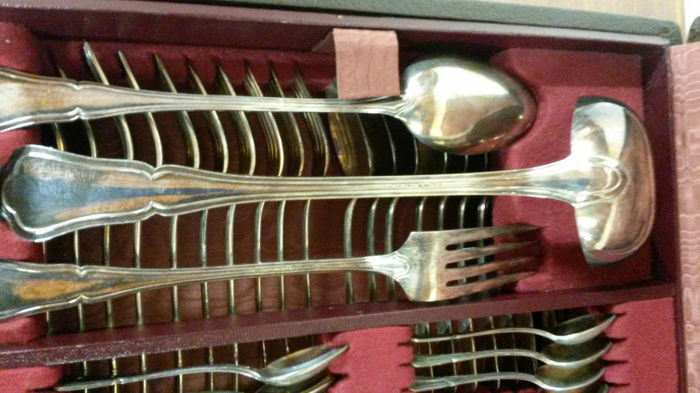 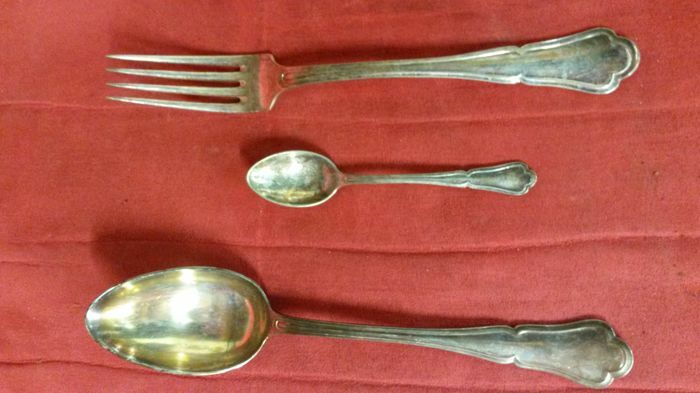 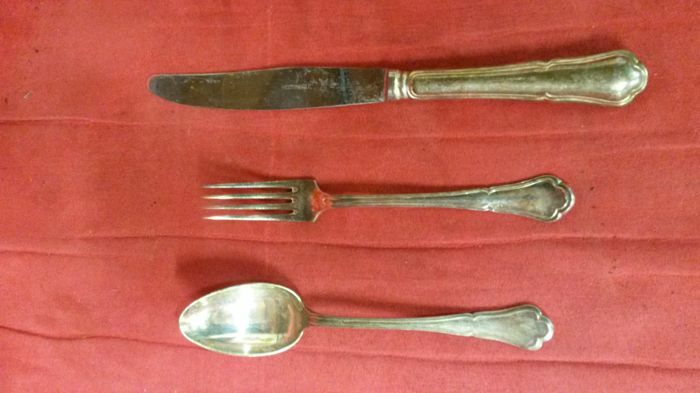 I would like to point out that only one fork doesn't belong to the set, the original one went lost and was replaced with a different type of fork, but still in Alpaca. 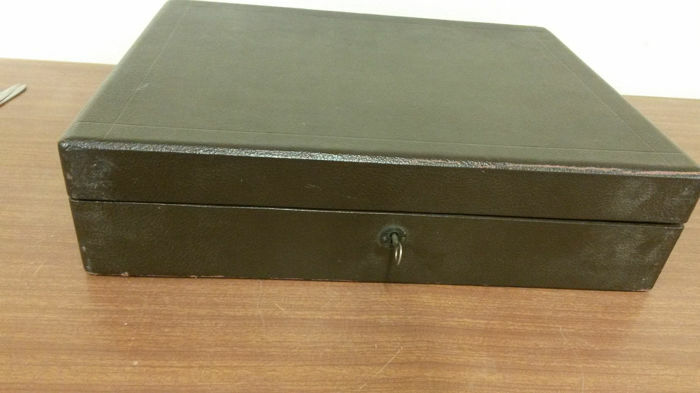 Even the case (including key) is original, while the interior is lined with soft dark red cloth. 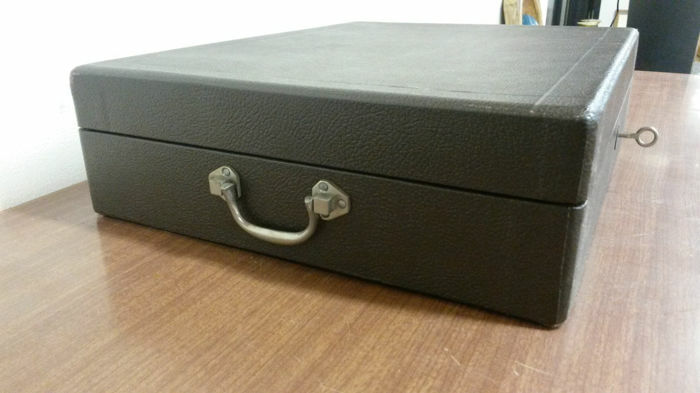 Measurements range from a minimum of 11 cm, 18, 22, 24, 26 and 33 cm. 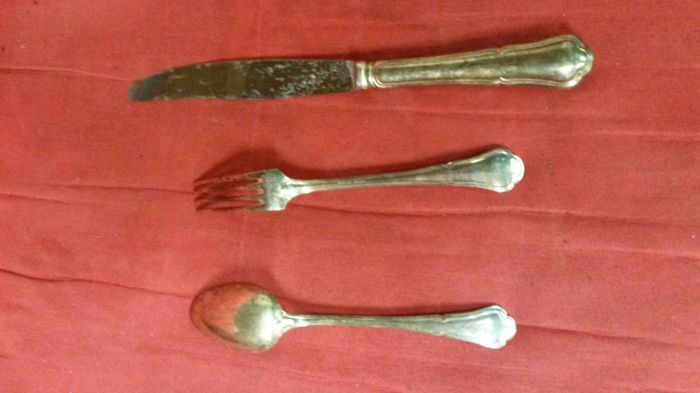 You can pick up this lot from the seller: Romano di Lombardia (Bergamo), Italy.